← A Jack Colby fan in Tasmania! He hasn’t had a day off in quite awhile hence no off-duty events to report on the Blog but that has now changed as Jack badly needs some rest before starting on a challenging cross-border car crime case shortly. Jack had heard about the ‘Bredgar and Wormshill Light Railway’, a delightful 2 foot gauge line tucked away in the Kent countryside near the village of Bredgar. So he visited this charming entertainment facility on a recent ‘Open Sunday’ (have a look at http://www.bwlr.co.uk to see upcoming dates) and guess what? 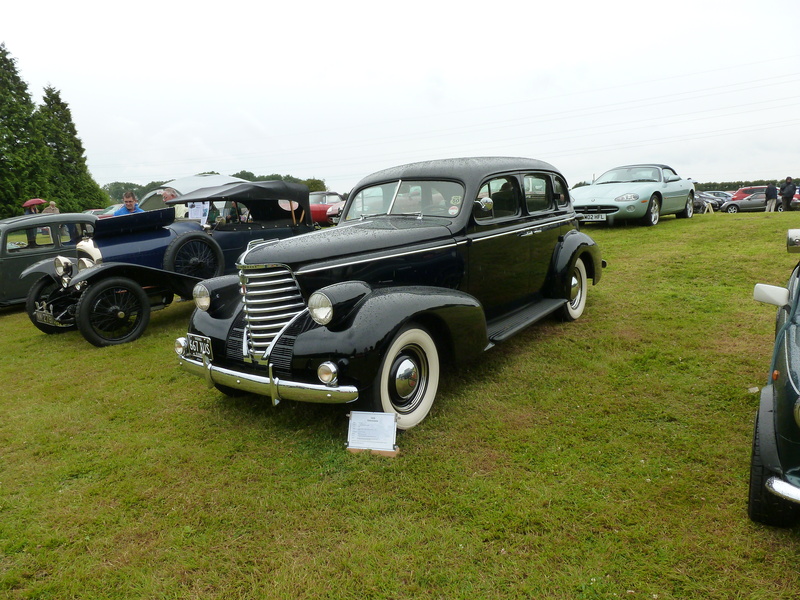 Yes, there was a classic car display that day and among the dozen or so classics on show was a georgeous 1938 Oldsmobile (see picture). After the usual amount of ‘quality time’ spent around the cars Jack also had a steam train ride and visited the museum and gift shop on the lovely grounds. He plans to come back soon for another Sunday and if he can get there early enough he’ll have a chance to learn how to drive one of the trains. Maybe we’ll see Jack one day on the Chattenooga Choo-Choo? ?